In the latest edition of Giving in Numbers, research of corporate social investment has found that leading corporations are intensifying efforts to meet key societal needs around the world. It is based on data from 252 companies and not only presents a profile of corporate philanthropy and employee engagement, but also includes a Trends Summary that highlights the prominent features of corporate societal investment. 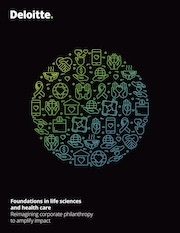 In this paper, they examine the current health ecosystem, evolving stakeholder expectations, the unique position of life sciences and health care foundations to effect critical change,and alternative engagement models with demonstrated track records of success on an international scale. A CNJG corporate member asked for help with the scenario in which a corporate policy of not supporting religious organizations in their grantmaking, causes problems helping during a disaster in an urban or rural area, when the program that is delivering the disaster relief is based within a church. They want to work with those programs (a church serves as the program’s fiscal sponsor) who support efforts for hunger, homelessness, substance abuse recovery, racial equity, etc. as long as they do not discriminate and do no limit it to their own congregations. The request for policy samples to work around this religious organization hurdle as long as there is no discrimination or funding the actual church’s worship, was compelled by CNJG staff and is listed here. Today, the practice of CSR has matured to include strategic philanthropy, employee volunteerism, cause marketing, disaster response, peer-to-peer fundraising, nonprofit board service, and even incorporating social responsibility into core business practices and offerings. Within the pages of this ebook, you’ll hear from leaders who have successfully charted a course for each of these areas to play a role in the new world of CSR. 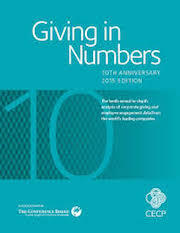 Giving in Numbers provides benchmark data from corporations on corporate giving and employee engagement. 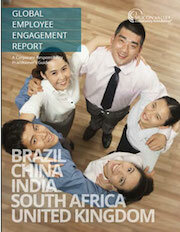 YourCause has released their latest Industry Review on employee engagement and corporate social responsibility programs. An in-depth analysis of 2015 corporate giving and employee engagement data from the world’s largest companies. CSR executives have difficult jobs. 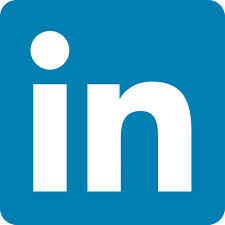 They are expected to be strategic, aligned with business priorities, and focused on results. Yet success often requires navigating ever-changing expectations and a maze of competing priorities. This strategy toolkit, developed by FSG in partnership with CECP, identifies three tools for clarifying your strategy and transforming your portfolio. 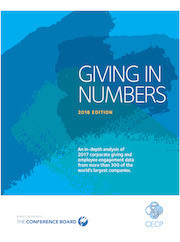 Giving in Numbers provides a benchmark, through key data provided by 271 respondent companies, on corporate giving and employee engagement. 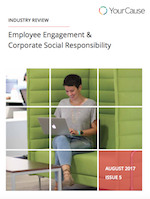 The Global Employee Engagement Report: A Corporate Responsibility Practitioner’s Guide is designed to provide practical information to companies looking to expand their employee engagement programs internationally. © 2019 Council of New Jersey Grantmakers // All rights reserved.